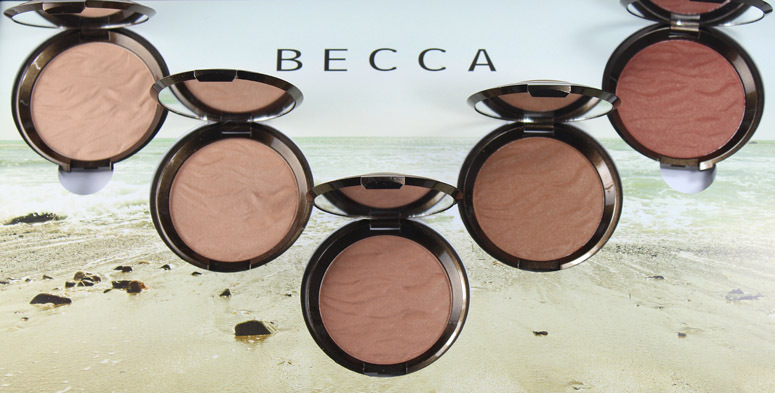 Inspired by sun-drenched destinations, BECCA Cosmetics has introduced the Sunlit Bronzer Collection. This welcome addition to their makeup lineup means that there’s a bronzer shade for every skin tone! 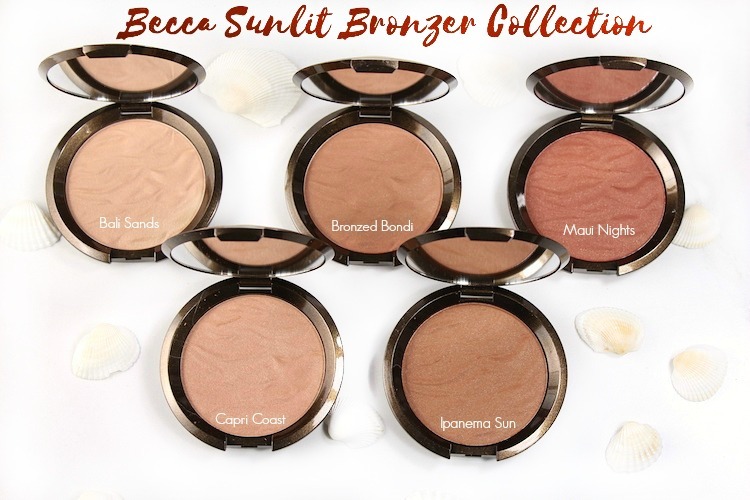 BECCA Cosmetics is known for their outstanding selection of highlighters, and the addition of the Sunlit Bronzer Collection is next-level exciting. 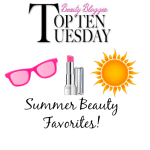 Getting our summer glow on has never been easier, and the beach-inspired shades instantly channel beached bronze skin. Bali Sands: this golden-beige shade adds overall warmth to fair skins. 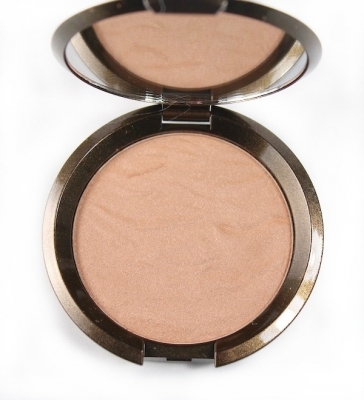 Capri Coast: this warm golden brown shade adds a sunkissed glow to light-medium skin tones. Bronzed Bondi: a warm amber shade best suited to medium skin tones. Ipanema Sun: Medium auburn brown; this shade works for medium to dark skins. Maui Nights: A sienna brown shade for the deep skin tones. 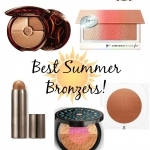 Each of the Sunlit Bronzers has a textured top reminiscent of a sandy beach, which I love. My perfect shade is Capri Coast. I’ve been using the Soft Kabuki Brush to sweep the color on. 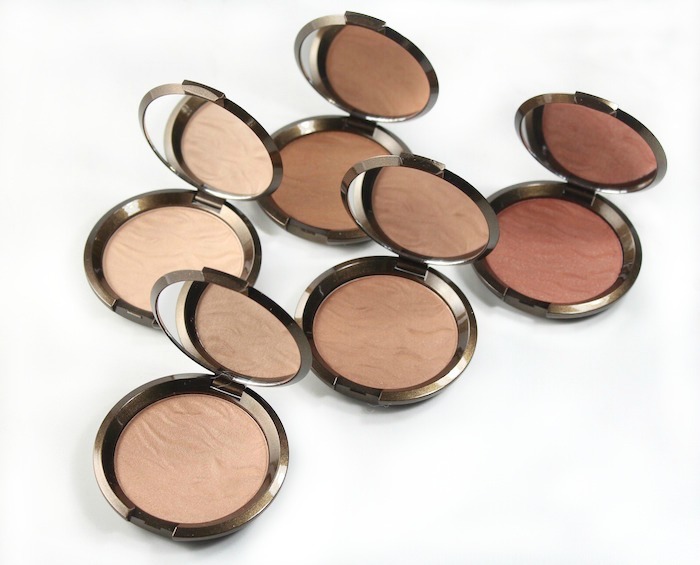 The bronzers are made of a silky powder with a lovely, almost creamy texture, similar to the BECCA highlighters. The finish is mostly satin/matte with the barest shimmer for a hint of dimension. If you like a more contoured look, you could pick up the shade that is the level beyond your ideal shade. And for the most natural flush, swipe on Shimmering Skin Perfector Luminous Blush (my review); Snapdragon is the perfect coral-y shade! I’m a huge bronzer fan and love that BECCA has thought out this collection so that every skin tone can find a shade that works for them. 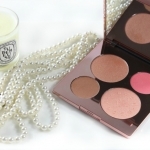 I’d rate them as on par with Guerlain, which has been my holy grail bronzer for years. 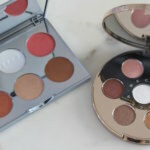 You can find the BECCA Cosmetics Sunlit Bronzer Collection ($38 each) at Sephora, ULTA Beauty or at Beccacosmetics.com.